m-am bucurat sa vad pozele tale . Succes in continuare . P.S.ne-am intalnit incepand cu Septembrie 1977, Buzau, ……………. 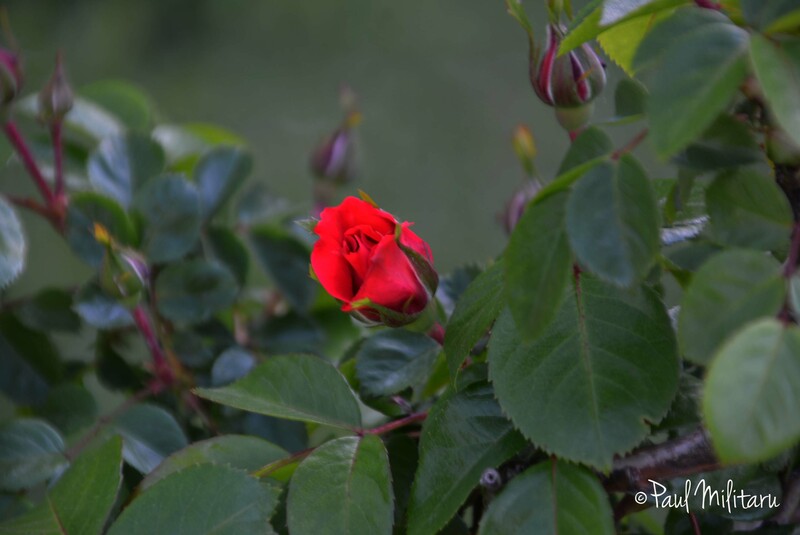 Hi Paul – well you know I love your work… and if it is cool with you, i am going to feature you in an art digest post I have coming up next week – one of your many beautiful rose photos would fit right in…. and I will give you full credit – add your name twice – and link your blog…. is this fine to do? Okay, why not ? if i don’t manage I will shout after help ! so do as you think to do ! if i could help you with something tell me…sorry for my English ! I will be back in touch next week – and thanks for being so humble and open to share your work. Thank you very muc, but as you know I can’t accept ! Îmi plac mult fotografiile pe care le postaţi pe blog, pe care îl urmăresc în mod constant. De aceea îmi permit să vă solicit acordul ca, în articolele pe care le public pe blogul meu, să ,,utilizez” ( cam ciudat ,,sună”) unele dintre acestea, cu indicarea, evident, a sursei. Vă mulţumesc! Hi! Thank you for always liking my post! You are highly appreciated! God bless you always Sir! We find that comment is closed on some of recent post also, we wanted to post some comment. I will see, okay ! Hi Paul, Just a quick note to say thank you for all the beautiful pictures you post. We are missionaries, and often walk with native americans. I am writing a grad research papter on a Biblical look at native american spirituality. Natives often meet with God through His creation, and they have taught me to look for His fingerprints there. Your photos often encapsulate this beautifully. Thank you! i look at your log everyday for inspiration, a happy thought and a lift of the spirit. Thank you for your continued support of sciencesprings. I appreciate it very much. I thank you too ! Thanks for liking “Journey to my soul.” Appreciate if you could download it from Amazon todat FREE and give it a good rating. Regards. Paul, I want to thank you, for always liking my post…even those that may not be all that! 🙂 I appreciate you, for doing so. I wish you much success and happiness in the year ahead. Keep up the wonderful photography and continue to share your talent with us all in 2016. Sei un Grande.. un abbraccio da sendreacristina.. Please explain what your new idea is .. New posts? I’ll be here. This is the “idea” I meant …. I have nominated you for a brand new award Paul. It is the Real Neat Blog award. Thanks a lot, Terry but i can’t accept because i consider that friendship is more important than an award, thanks again. Thanks a lot Terry for understanding ! Thank you very much, John ! it’s important for me, you like my photos ! Thank you very much, Susanne, but as you know I can’t accept it, and you know why, that’s true it could be a challenge to me, but I am a very bad writer.In this way you oblige me to offer this award to all my bloggers i have, including you, because i love you all…i hope you understand me.And thank you very much, again ! Ich habe heute Deinen Blog zum “Liebster Blog Award” nominiert. Thank you very much, Arne for this award, but I can’t accept it because You and the other bloggers are my award, the beautiful award I have, believe me.Second, please write for me in English because I don’t know German and it’s very difficult to me to understand.Thanks again, Arne you are so kind with me. Paul – Can I post your images sometimes? Yes you could ! Thank you, Arne ! Paul, It is with an incredibly grateful heart that I say thank you for all of your support and encouragement. Don’t worry, it’s OK ! I thank you ! Thanks for stopping by Turquoise Compass today! I am so grateful for my readers! You help make my journey an exciting one! I like your blog, Jessica ! Thanks so much Paul! I’m glad you enjoy it. Thanks a lot for this nomination, but i can’t accepted, I explain why, don’t worry I will follow your blog.If you don’t mind give this award to Line from http://pathsofthespirit.wordpress.com/ is more beautiful than mine, believe me. Paul, I just wanted to thank you for following my haiku blog for all these months and for the many “likes” you have clicked! Your photography gives me pleasure and makes me want to write with a photographer’s eye! I try to do that but don’t always succeed. Finally, I have a very good friend who writes haiku, has published a book of his collected poems, and lives in Constanta, Romania. His name is H. A. Bud. Perhaps you may know him? First, thank you, second I don’t know that person from Constanta. I am not a star, I am only Me, and i like your posts.Thank you very much. If you say so, it’s ok.Thank you very much. Don’t worry, John, if you see it now, it’s ok, thank you. You are welcome, Susanne ! First I want to tell you that all my pictures postet on the blog are made by me, and I don’t copy from nowhere, and nobody.As usual I sell my photos, but you being a friend bloger, and you like my kind of art, I allow you to use my pictures on your blogs.It’s OK for you, Susanne ? Not sure if you accept awards but http://smorgasbordinvitation.wordpress.com/2014/07/01/the-versatile-and-sunshine-blogger-awards-courtesy-of-kim-gosselin/ if not please accept as recognition of my enjoyment of your blog. No problem Paul – thanks for your response. Of course I accept, you can reblog it.Do it ! I really don’t know how, explain to me the steps, please ! OK, I’ll do my best. Paul it seems that I cannot see some of the pictures in your post.I don’t know if the error is from end. Please, let me have your reply. Thanks, Henry. I think that the error is from end, or traffic, or computer.The computer have to be cleaned with a software and defragmentated.Sorry for that.Try as I told you, restart the computer and try again. I have a question for you. How can I add my name to pics I am posting on line? I noticed you do it on yours and would like to learn how to do it. It’s very difficult to explain to you how to use the software I used to insert my name on the photo.First you have to buy or yo borrow photoshop, and then to learn to use it.You need books for that, so it’s impossible in a few words.I ‘ve needed it for learning 6 months for that, but not impossible.So…sorry I can’t help you. Not a problem. I thank you for getting back to me I appreciate it. i thought that your cell was a SA no. Sorry my cell +040, I’ll change.Thank you. Hey, i wanted to ask you, what do you think of my blog?